Music for Little Mozarts is a group piano class that provides a fun, positive, early music experience for children ages 4-6. It is a yearlong introductory course to the piano and music where students learn the basics of the keyboard, pre-note reading, ear training and rhythm while continuing to develop fine and gross motor skills, social skills, and creative thinking. Each class is 45 minutes in length and includes hands-on piano exploration, singing, dancing and age appropriate games and activities. In addition, children will learn about famous composers and have the opportunity to listen to many different styles of music. At the end of the year, students will perform in a class recital to showcase all that they have learned. Your child is sure to have a lot of fun making music in this class! Materials include music books, sing-along/play-along CDs, a stuffed animal, and a book bag. 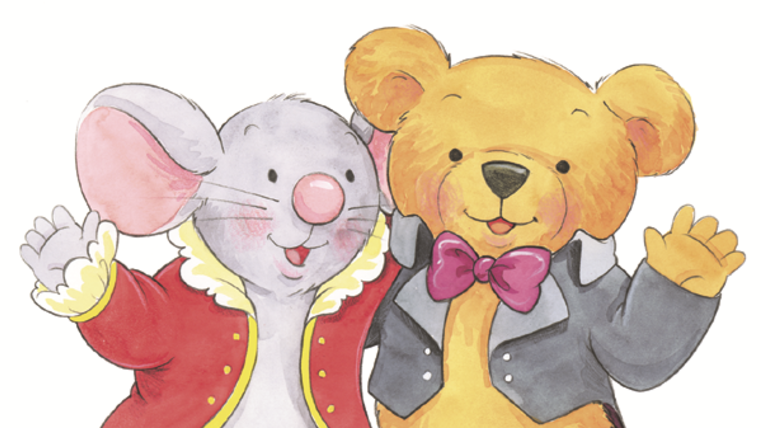 Music for Little Mozarts will help prepare your child for private music lessons in piano, voice, or any other instrument so come join us as we learn about music and the piano with Mozart Mouse and Beethoven Bear! MUSIC FOR LITTLE MOZARTS IS CURRENTLY ON A BREAK FOR THE 2017-2018 SCHOOL YEAR. IT WILL RETURN FOR THE 2018-2019 SCHOOL YEAR. Tuition: $300 per 40 session year or $25/mo.